Russian oligarchs per day have plummeted by $ 2 billion. The media learned the date of the next meeting of Surkov and Volker in the Donbas. NYT has learned about the fears of Trump lawyers over questioning Russia's interference in elections. Anti-corruption court should become operational before presidential election, - EU Ambassador Mingarelli. Saakashvili almost does not deny the fact of conversation with Kurchenko. Ukraine Court Rejects Saakashvili's Plea For Protection From Extradition. The council made amendments to the law on the reintegration of the Donbas. Russia backed Luhansk ‘republic’ bans Jehovah’s Witnesses and other ‘non-traditional’ faiths. Duda will sign "anti-Bandera" law. Omelyan spoke about $ 7 billion joint projects with China. Almost half of Russians want their children to become FSB employees: the network was shocked by the results of the poll. The richest Russians lost 2.1 billion dollars due to the collapse of the US stock market, which occurred on February 5. This can be found on the Bloomberg Billionaires Index. Russians in this list are currently 27 people, in 25 of them the strength was reduced and only in two increased. 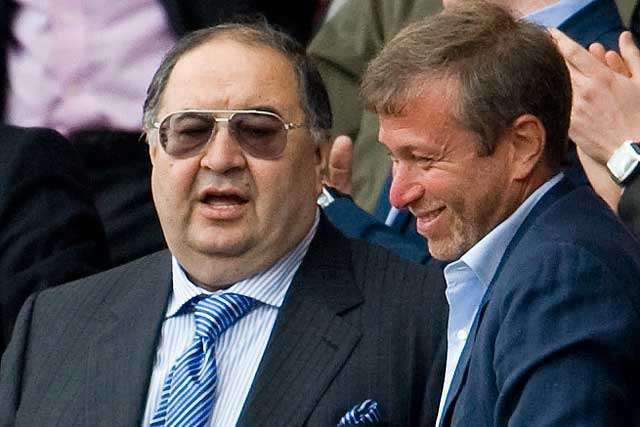 The owner of the mining and metals group Evraz and the Norilsk Nickel minority Roman Abramovich became richer in the day by 68.9 million dollars. And the co-owner of LetterOne and Alfa Bank Peter Aven received another $ 29.1 million. Their wealth amounted to 13.3 billion and 5.9 billion dollars respectively. The owner of "Severstal" Alexei Mordashov suffered most in one day - he lost 203.3 million dollars. The head of "Lukoil" Vagit Alekperov has declined by 176 million dollars. The half-owner UMMC and Transmashholding Iskander Makhmudov stayed without 174 million dollars, and the owner of "Renova" Victor Vekselberg - lost almost 170 million dollars. Recall that the major US stock indexes fell by 3.8-4.6% on Monday against the backdrop of fears that US bond yields would increase, while Dow Jones and S & P 500 annulled the growth in 2018. After that, the indices of major European stock exchanges are losing at the opening of auctions of 3-3.5% after US stock indices dropped by 3.8-4.6% on Monday, pulling down Asian stock indices. Special Representative of US State Department for Ukraine Kurt Volker may hold a regular meeting with the assistant to the President of the Russian Federation Vladislav Surkov in a month. It is reported by "Interfax-Ukraine" with reference to a source familiar with the preparation of the meeting. "The decision to develop the negotiation format of the meeting will be continued. Another time K. Volker and V. Surkov can meet in March," - said the source. According to him, the concrete date of the meeting and the place of its holding are not defined at the moment. "The sides are preparing materials for the next meeting, various platforms for its conduct are being considered, Dubai is not yet approved yet," the source said. Attorneys of the US president Donald Trump advise him not to testify in the investigation of Russia's interference in the 2016 US election, which is being held by a special prosecutor Robert Muller. The reason for this was the whole list of statements by Trump, which later turned out to be false, so lawyers are afraid that the US president may lie oath. The New York Times writes about it, citing four people familiar with the situation. However, Trump himself says he wants to talk to Mueller about the possible connection of his people and the interference of russia in the election. It is expected that the US president will announce his decision to give testimony in the next few weeks. The publication notes that Trump's refusal from a conversation with Mueller may be blamed on the fact that the US president hides something and this can also affect the results of the Republican Party in the intermediate congressional elections in November this year or Donald Trump's chances of re-election for the second term. Donald Trump's lawyers and advisers strongly oppose the US president giving evidence of Russia's interference with the elections, believing that Robert Muller will not officially call Trump for interrogation, since, in their opinion, he does not have sufficient legal rights to do so. the grounds. As reported by the "Apostrophe", recently Trump was indignant at the fact that nobody draws attention to economic indicators during his presidency, but only talk about Russia's interference in the American elections. Head of the EU Delegation to Ukraine Hugues Mingarelli told Ukrainian lawmakers that it is critical for Ukraine to create an anti-corruption court before the presidential election. He said at a meeting with members of Eurooptimists Interfactional Union, an association of members of the Ukrainian parliament, Censor.NET reports citing LIGA.net. Mingarelli noted that Ukraine, unlike Armenia, Azerbaijan and other countries, has undergone significant changes over the past few years. A great price was paid for the changes while they take place not so smoothly, the diplomat said. According to him, Ukraine must determine the red line in the fight against corruption. Mingarelli noted that corruption exists in many countries but all of them have certain red line. He believes Ukraine needs to draw such a line. Therefore, the anti-corruption court needs to be operational before the election as well privatization and other reforms should start being implemented. Ukraine’s Western backers have long called for the authorities to establish an independent court to handle corruption cases. Slow progress has delayed the disbursement of foreign loans. Mikheil Saakashvili, leader of the Movement of New Forces, does not deny the fact that he talks with oligarch Sergei Kurchenko, who is hiding in Russia. "He (Saakashvili) adheres to his procedural duties, gives testimony which the investigation finds to be partly indicative of his guilt - practically does not deny the fact of conversation with Kurchenko. Therefore, taking into account the resonance in society, it was decided not to continue at this stage a precautionary measure", - said Deputy Prosecutor General. He stressed that the decision to extend the preventive measure is the prerogative of the investigator and the procedural chief. On January 26, the court sent Saakashvili under house arrest at night. As previously reported, Saakashvili was taken to the Pechersk court on the morning of December 11 . He is suspected of facilitating a criminal group under Article 256 of the Criminal Code. Politics is threatened by 3 to 5 years behind bars. The prosecution party has filed a petition for the decision to elect Saakashvili as a preventive measure round-the-clock house arrest. The Pechersk District Court did not satisfy the prosecutor's request to elect a preventive measure in Saakashvili in the form of a round-the-clock house arrest at the time of the investigation. Recall that on December 5, law enforcement officers detained Saakashvili . According to the SBU, he is suspected of facilitating the participation of criminal organizations . It should be noted that during a search in Saakashvili's apartment, he rose to the roof of the house where he was detained by law enforcement officers. Later, it became known that the activists took Saakashvili out of the car of the law-enforcers. In addition, Prosecutor General Lutsenko at a briefing stated that Saakashvili's shares were financed by Kurchenko . Also, the GPU unveiled "Negotiations of Saakashvili's associate and representative of Kurchenko" and "negotiations between Kurchenko and Saakashvili" : "I want to build some long history with you." In the evening, December 8, law enforcement officers arrested Mikheil Saakashvili in Solomyansky district of Kyiv. Section 256 of the Criminal Code, which was enacted to him (assistance to members of criminal organizations and concealment of their criminal activity), provides for 5 to 10 years of imprisonment. The Administrative Court of Appeals said on February 5 that a January 3 decision by another court, which in turn had upheld a previous ruling, remained unchanged. Saakashvili, who walked out of the court after several of his motions were rejected, contended that the ruling was politically motivated and dictated by President Petro Poroshenko -- a former friend who is now a bitter foe. "With this [ruling] I am losing the status of a resident in Ukraine. This is yet another decision by Poroshenko, not by the court," he wrote on Facebook. Saakashvili, who was president of Georgia from 2004-2013, is wanted there on charges including abuse of office, which he says are fabricated. "We all need to be prepared for the fact that the authorities in an illegal manner will make the decision on his compulsory deportation or possible extradition," a lawyer for Saakashvili, Ruslan Chernolutskyy, said in a video posted by Saakashvili. Saakashvili lost his Georgian citizenship in 2015, when he accepted Ukrainian citizenship and Poroshenko's offer of a job as governor of the Odesa region. But he resigned from the post in November 2016, accusing the government of undermining his efforts to fight corruption and carry out reforms. Saakashvili has become an outspoken opponent of Poroshenko, who came to power after Moscow-friendly President Viktor Yanukovych fled amid massive protests known the Euromaidan in 2014. The Verkhovna Rada of Ukraine amended the Donbass Reintegration Law No. 7163, which eliminated inconsistencies in the issue of the continuation of military civilian administrations in the Donetsk and Luhansk oblasts. The corresponding decision was passed by the Parliament by 228 votes. After making amendments to the law, the Speaker of the Verkhovna Rada Andriy Parubiy stated that he intends to sign it publicly at today's parliamentary sitting if he has time to prepare it. "If we have time, so that I could publicly sign it today, now, during a session of the Verkhovna Rada of Ukraine", - said the speaker. At the same time, he instructed the Verkhovna Rada to "prepare as quickly as possible a bill". Recall that on January 18, the Verkhovna Rada adopted a law on the reintegration of the Donbas . According to the document, Russia is recognized as an aggressor state, which is responsible for the occupation of Ukrainian territories. At the same time, during the occupation, she used her regular connections and units of the armed forces. The Russian Foreign Ministry stated that the adoption by the Verkhovna Rada of Ukraine of the law on the reintegration of the Donbas could be called preparation for a new war. On January 19, a draft resolution on the abolition of the decision of the Verkhovna Rada of 18 January 2018 on the adoption of the draft law "On the peculiarities of state policy on ensuring the state sovereignty of Ukraine over temporarily occupied territories in Donetsk and Luhansk oblasts" was registered in the Verkhovna Rada . The authors of the bill are People's Deputies from the Opposition Bloc Yuriy Boyko, Alexander Vilkul and Mykhailo Papiyev. Thus, the head of the Verkhovna Rada Andriy Parubiy could not sign the said law until the people's deputies would consider this decree. On February 6, parliament rejected this draft. The self-proclaimed ‘Luhansk people’s republic’ [LPR] has yet again followed Russia’s lead, this time by banning the Jehovah’s Witnesses, calling them and other banned faiths ‘religious groups’. The move comes just days after the Kremlin-backed ‘LPR parliament’ passed several ‘laws’, including one aimed at hunting down and prohibiting so-called extremism in religious or political organizations, as well as in the media. Dmytro Sidorov, who is called the ‘acting LPR minister of culture, sport and youth’ announced the ban on Monday 5, He explained that in the so-called ‘law on freedom of conscience and religious organizations’, adopted on February 2, they had specifically excluded ‘religious groups’. He defined the latter as organizations with five people (presumably meaning at least that number) which “do not have a direct relation to any of the traditional faiths”. Although he suggests that the Jehovah’s Witnesses had been removed earlier, Monday’s announcement is the first formal confirmation of an actual ban on the organization, not its literature. It comes nine months after Russia reverted to Soviet practice and banned the Jehovah’s Witnesses, claiming the faith to be ‘extremist’. It took the so-called ‘Donetsk people’s republic’ until 28 July 2017 to declare Jehovah’s Witnesses’ printed material ‘extremist’. It was claimed that the material aroused enmity on religious grounds and propagandized the superiority of the Jehovah’s Witnesses over other faiths. In ‘LPR’, they went even further, claiming, on 28 August 2017, that the Jehovah’s Witnesses were helping Ukraine’s Security Service [SBU] and “neo-Nazi groups”. 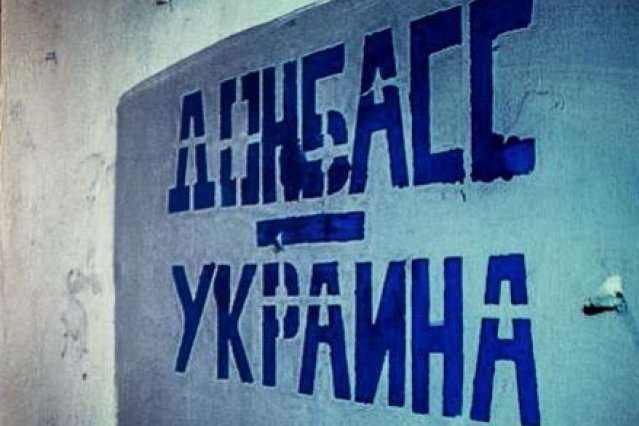 An investigative search had supposedly established not only that the Jehovah’s Witnesses in Luhansk and Alchevsk were in breach of ‘LPR law’, but that they were probably “agents of influence of the Ukrainian Security Service”. It was asserted that the search carried out had found agitational material containing Nazi symbols, as well as leaflets calling for cooperation with the SBU. Leaflets from the SBU and the Azov Civic Corps, it was claimed, had previously been pasted around Alchevsk. The suggestion that Jehovah’s Witnesses, who avoid any involvement in politics and have faced persecution rather than take up arms, should have “assisted radical, neo-Nazi groups and other military formations” was overtly absurd, and unbacked by any evidence. According to the same ‘law’, all religious organizations and associations in ‘LPR’ will need to undergo compulsory registration, otherwise their activities will be regarded as illegal. It is unclear what is required for such compulsory ‘registration’, but the imposition of Russian requirements in occupied Crimea was used to put pressure on and / or drive out a number of religious organizations. In both Crimea and the militant-controlled areas of Donbas all faiths and denominations except the Orthodox Church under the Moscow Patriarchate have come under major pressure. The ‘arrest’ of world-renowned religious scholar Ihor Kozlovskyy in January 2016 coincided with propaganda measures against the Ukrainian Greek Catholic Church and other faiths which the militants called ‘sects’. While that was in ‘DPR’, there is nothing to suggest that the Luhansk militants would follow different policy. The ‘bill’ on religious organizations was fast-tracked through ‘parliament’ on 2 February, together with similar ‘laws; on ‘countering extremist activities’, ‘counter-terrorism’; and one allowing for detention without a court order for up to 30 days.. If the documents, which are as yet not posted, do happen to clearly define ‘extremist activities’, the official ‘LPR’ website is not letting on. Whatever ‘extremism’ may be, the bill now establishes “a system of state bodies” aimed at countering it. Should these ‘state bodies’ consider that political, religious or other organizations are carrying out harmful extremist activities, their activities can be suspended before a court bans them, with the same ‘preventive measures’ allowed with respect to the mass media. Dissolution is envisaged, by court order, of legal entities considered to be providing an ‘extremist organization’ with financial support, venues, printing or educational facilities and technical back-up. Some of the measures are directly lifted from the Russian measures seen applied in Crimea since Russia’s invasion. These include the possibility of formally ‘warning’ the leaders of religious organizations, political parties or the media of “the inadmissibility of doing things which could result in extremist activities”. In Russia, two such ‘warnings’ can be sufficient to seek an organization’s or media publication’s closure. All of this coincides with a change to the ‘LPR constitution’ allowing for individuals to be detained for up to 30 days without a court order. This is purportedly to prevent actions which could threaten the ‘republic’s security, and is allegedly during the unspecified period of ‘martial law’. At one level, it is difficult to see how the measures introduced differ from what has long been the case. Most of the people seized and held hostage in the self-proclaimed ‘Luhansk and Donetsk people’s republic’, simply disappeared, with few, if any, normal procedural requirements observed. The President of the Republic of Poland, Andrzej Duda, will sign a law on the Institute of National Remembrance, which, in particular, introduces criminal responsibility for the denial of "crimes of Ukrainian nationalists." As Tsensor.NET reports, "Polish Radio" reports. The head of the Polish state noted that changes to the law on INP have recently led to a broad debate not only in the Polish public and political space, but also in the international arena. Duda drew attention to the fact that this topic can be heard in the relations between Poland and Israel, Poles and Jews, as well as in the space of Polish-American relations. The Polish president stressed that "this is not a new law that appeared a week or a month ago." "I spoke about these changes a year ago, as well as during my visit to Israel," the president said. Duda said that the Israeli reservation was about possible restrictions on scientific and artistic activities. The President of Poland noted that these special provisions in the updated law were introduced. "I decided that I would sign the law on the Institute of National Remembrance and hand it over to the Constitutional Court in accordance with the procedure," he wrote on Twitter. Recall that on January 26, the Polish Sejm supported an amendment to the law on the Institute of National Remembrance. It is based on punishment for attributing to the Polish people the crimes committed by the Third Reich and other crimes against humanity, peace and war crimes, as well as for the promotion of the so-called "Bandera ideology". The punishment provides for a fine or imprisonment for a term up to three years. The law was criticized in the Ministry of Foreign Affairs of Ukraine. On the night of February 1, the Polish Senate passed without amendments the law on the Institute of National Remembrance, which foresees, in particular, the punishment for "crimes of Ukrainian nationalists." In Israel, the document caused a flurry of indignation. Against him were the prime minister, the president, ministers and deputies of the knesset from the coalition and the opposition. The President of Poland Andrzej Duda has promised to thoroughly analyze this law. Minister of Infrastructure Vladimir Omelyan said this during a press conference, informs " Economic Truth". "During a meeting of the Ukrainian-Chinese commission that was held last December, the possibility of attracting Chinese loans, or investments in the amount of approximately $7 billion was discussed. Indeed, this figure sounded. The number of objects on our side has been formed, we are in the negotiation process with the Chinese side, "the minister said. He also said that in the summer of this year his visit to China will take place, where he plans to discuss this project in more detail with Chinese partners. "There are a lot of interesting directions: this is a cooperation on the lines of Ukrzaliznytsia in the manufacture of locomotives, concession roads and bridges, seaports, because they are seriously considering Ukraine as part of the economic Silk belt," the minister said. Recall that Ukraine, together with the Italian company Italferr, will develop technical and economic documentation of the Euro - zone, connecting Odessa-Kiev-Lviv. In Russia, during the time of the presidency of the Russian Federation, Vladimir Putin, the prestige of the FSB rose sharply. This is reported by Vedomosti with reference to the FOM poll. "In 2001, the share of positively and negatively evaluating the work of the special services was approximately equal: 35 and 34% respectively, and in January 2018, the share of those who evaluated their activities has positively increased almost twice, to 66%, and negatively - decreased three times to 12%. At the same time, the share of Russians who consider the service in the FSB attractive has increased from 42 to 69% (among young people up to 30 years - from 42 to 76%), while those who consider it to be unattractive became, on the contrary, much less - 34 and 11% (among young people - 45 and 15%). In the eyes of almost half (45%) Russians in the security services - a good prospect for youth: so many respondents otily be their children and grandchildren were KGB (in 2001 the figure was 29%),"- said there. "And you say that Putin has no success in the field of Russia's national leader!" - wrote the page "Thoughts of the resident." "Horror," "Then 45% wanted to become bandits, and now just another name, and essentially 45%, is the constant value of those who do not want to and can not do, but only to select and share," "45% of young people Muscovites want to become Chekists, 45% - Ommonists, 10% can not decide on their choice, go to the OMON or the KGB, "commented the users. Russia has deployed its nuclear-capable Iskander missile system permanently in its exclave of Kaliningrad, according to claims by Lithuania’s president and defence minister, potentially bringing much of the EU and Nato within range. On the day Lithuania celebrated the first anniversary of the arrival of a Nato battle group on its soil, the Baltic country’s president said the missiles — which have a range of about 400km — were being stationed in the exclave, between Poland and Lithuania. “This is not just a threat to Lithuania, but to half of all European countries,” president Dalia Grybauskaite told reporters in Rukla, where the German-led Nato battalion is based. There is unease in the Baltics as to Russia’s intentions following the annexation of Crimea from Ukraine in 2014, and a series of military drills last summer that some believe rehearsed an attack on Nato.